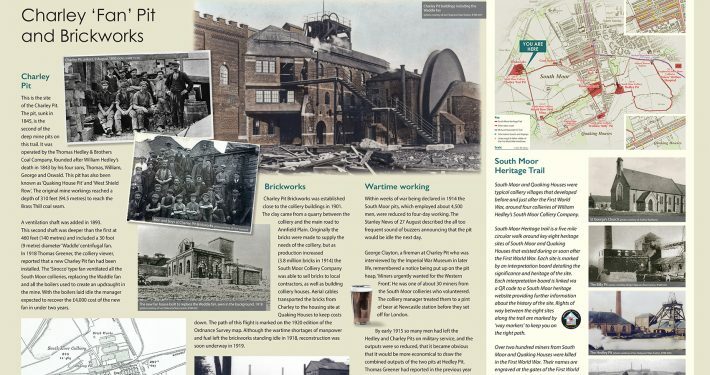 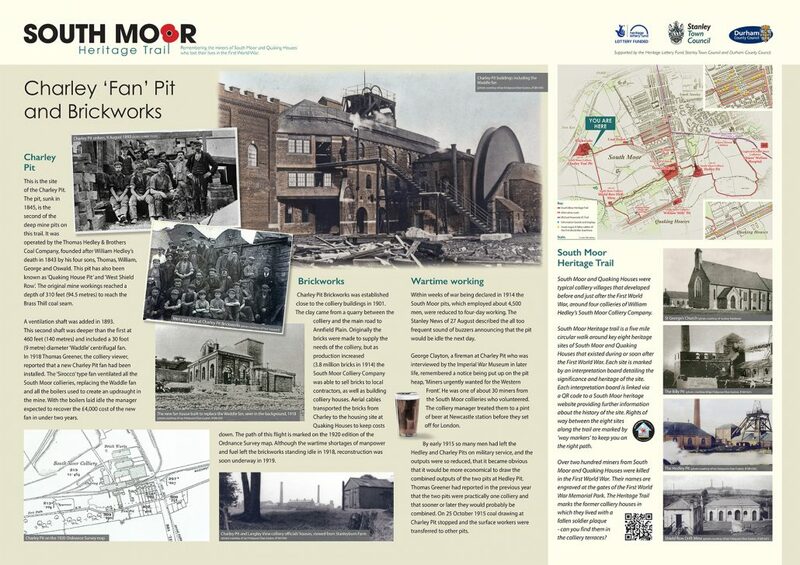 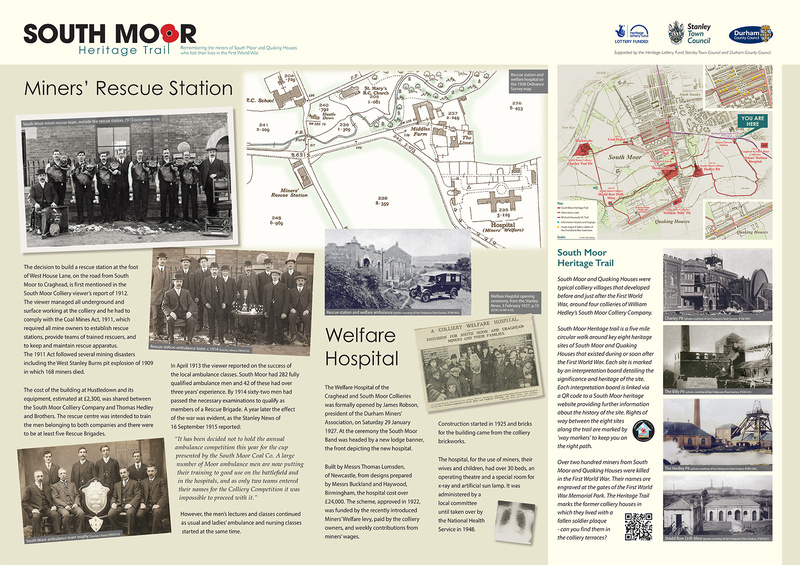 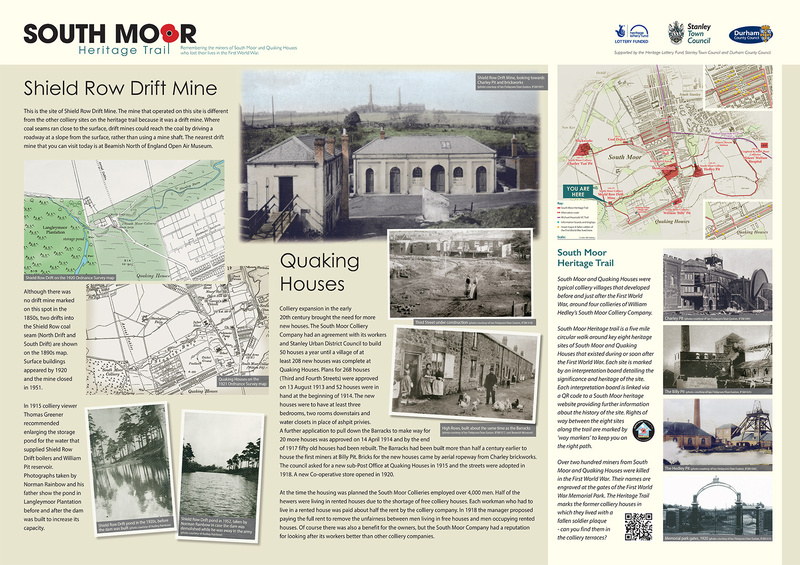 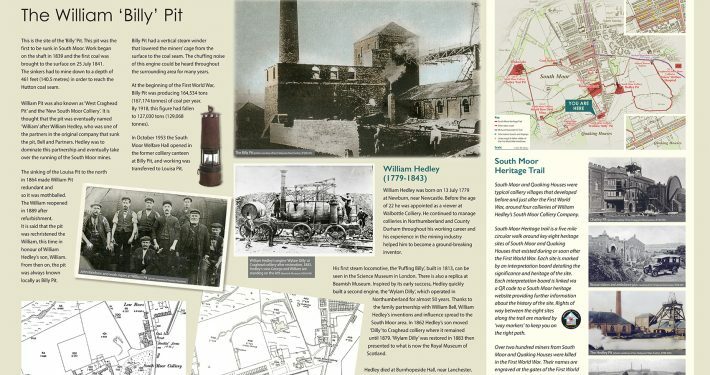 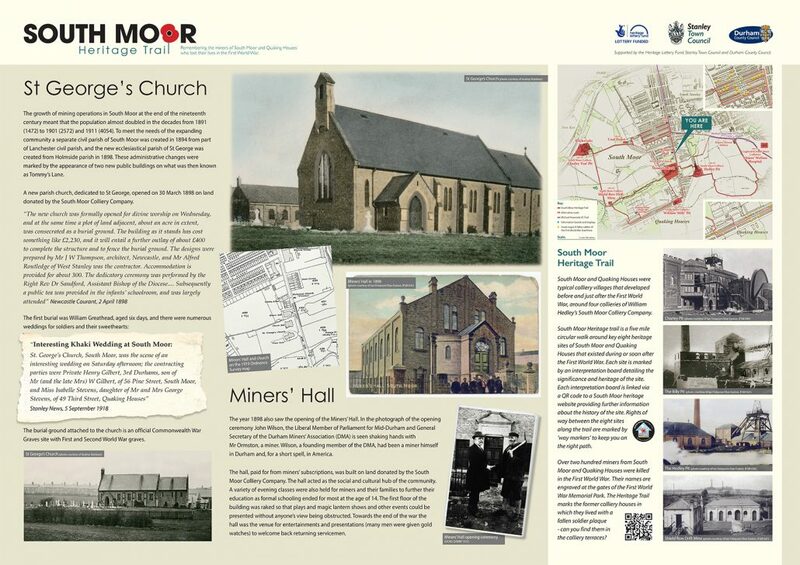 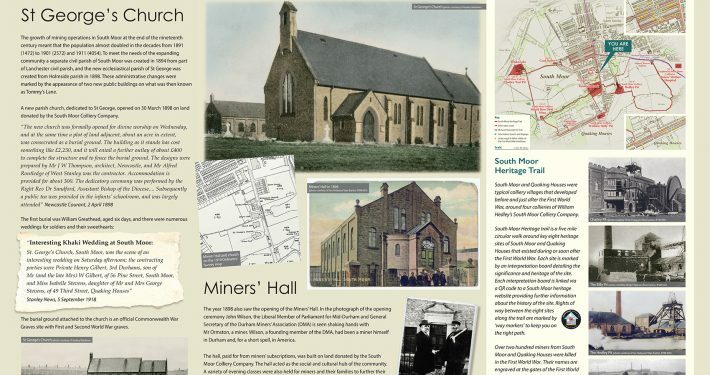 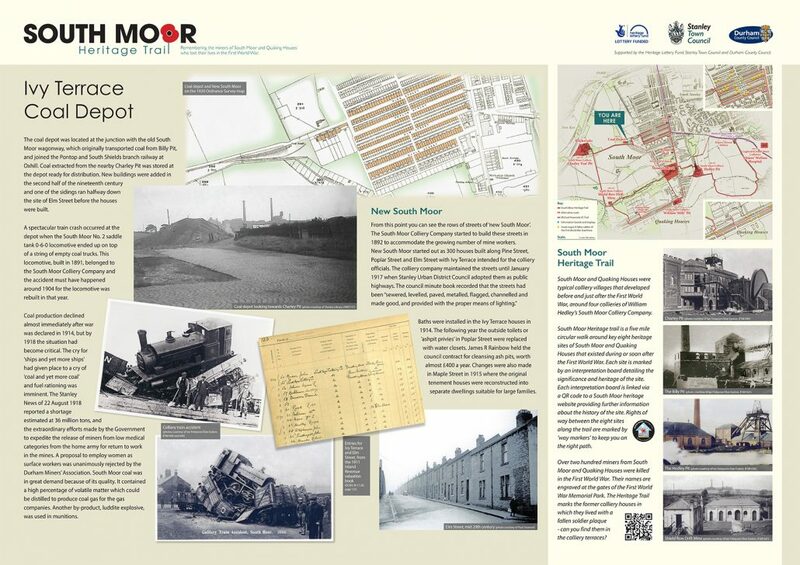 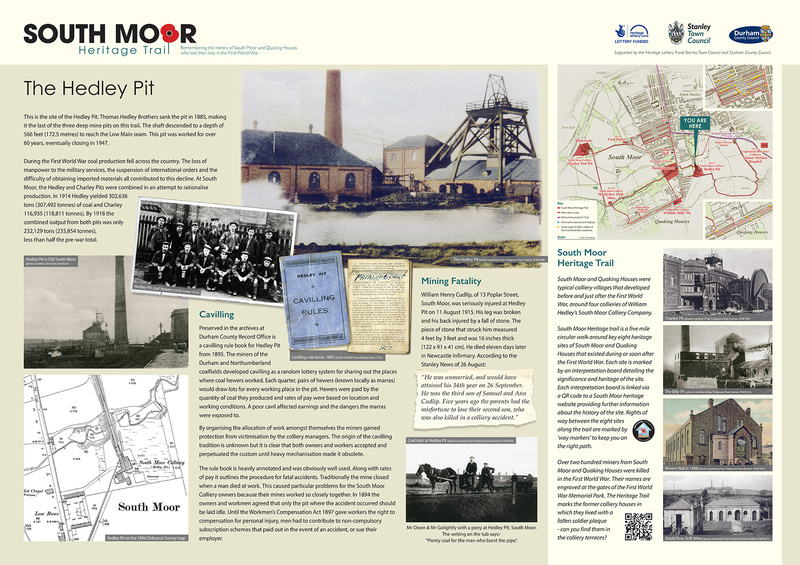 South Moor and Quaking Houses were typical colliery villages that developed before and just after the First World War, around four collieries of William Hedley’s South Moor Colliery Company. 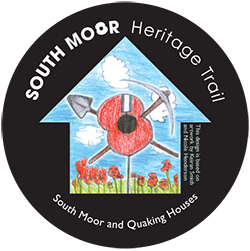 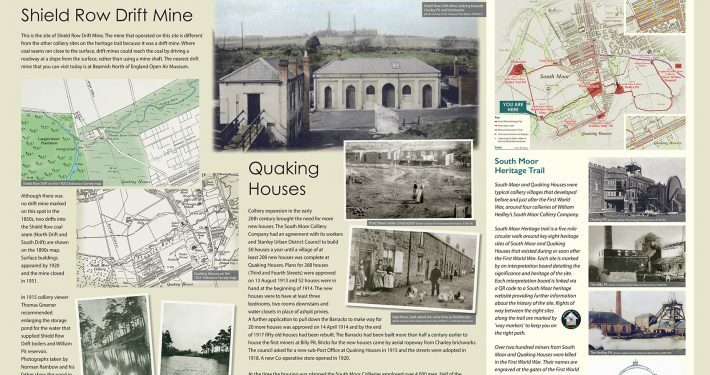 South Moor Heritage trail is a five mile circular walk around key eight heritage sites of South Moor and Quaking Houses that existed during or soon after the First World War. 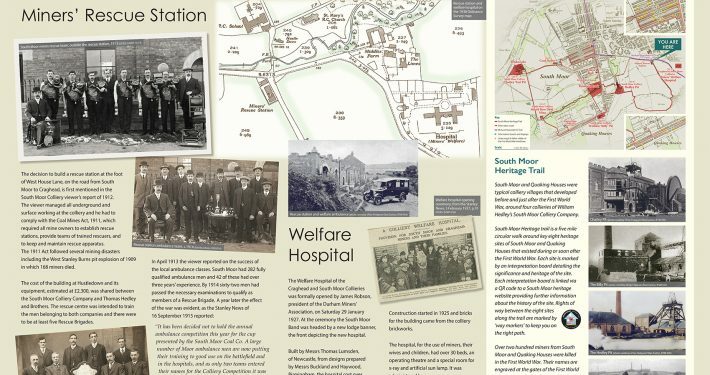 Each site is marked by an interpretation board detailing the significance and heritage of the site. 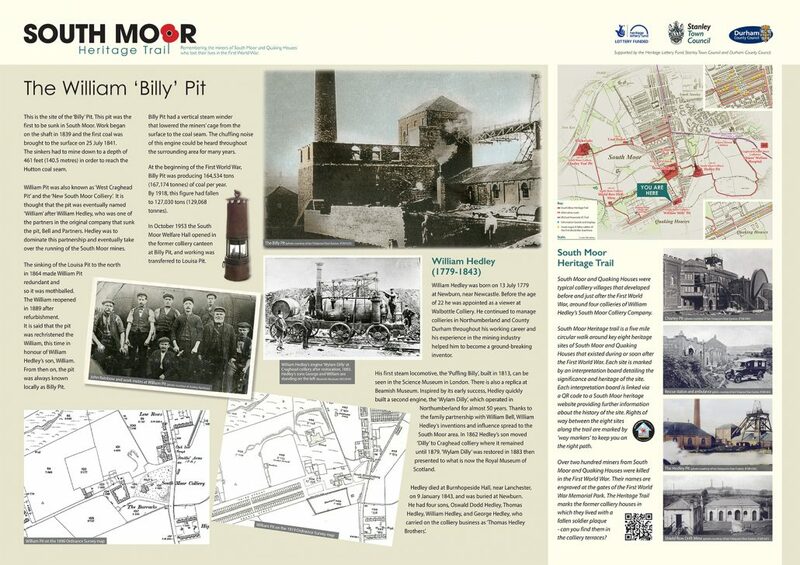 Each interpretation board is linked via a QR code to this website providing further information about the history of the site. 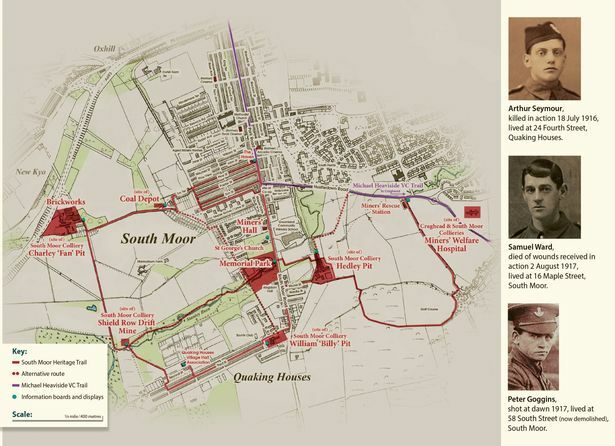 Rights of way between the eight sites along the trail are marked by ‘way markers’ to keep you on the right path. 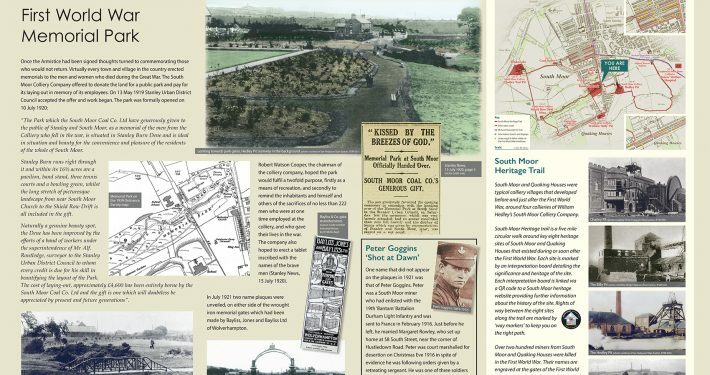 Each site is marked by an interpretation board detailing the significance and heritage of the site. 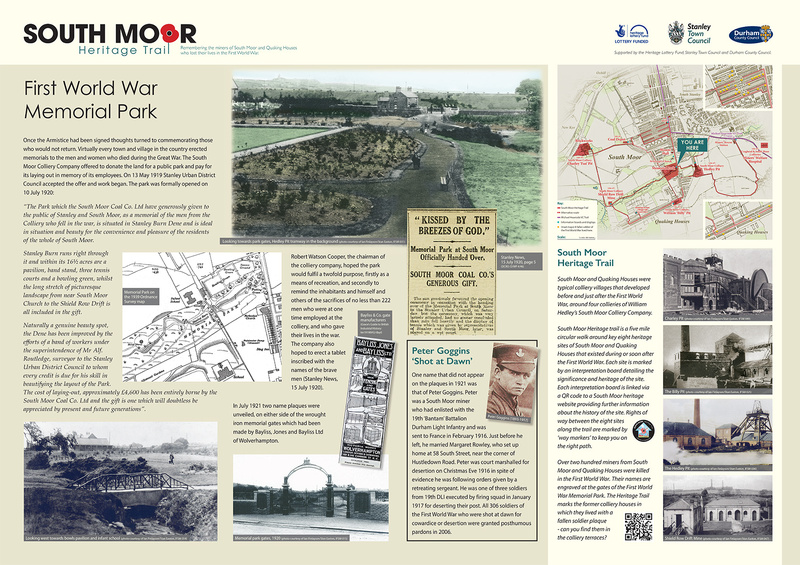 Each interpretation board is linked via a QR code to this heritage website providing further information about the history of the site. 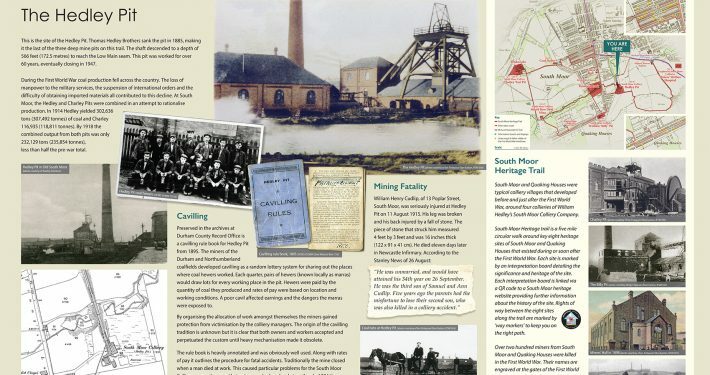 Rights of way between the eight sites along the trail are marked by ‘way markers’ to keep you on the right path. 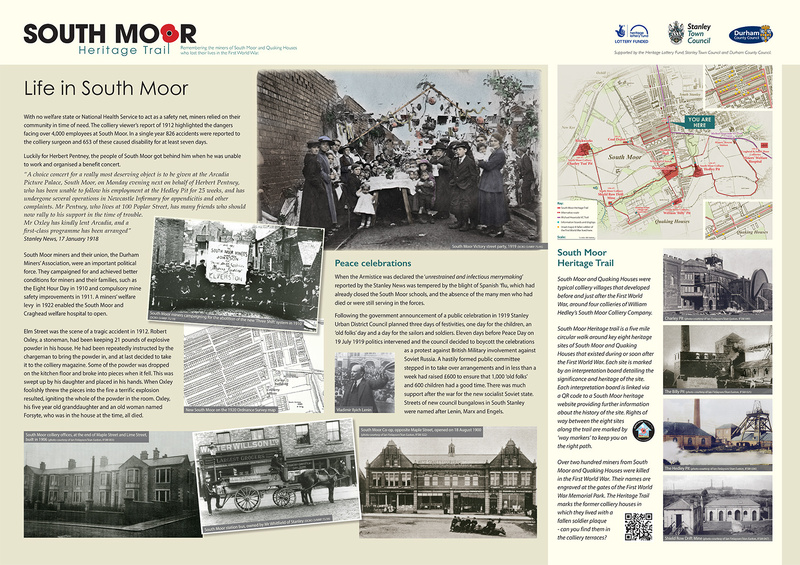 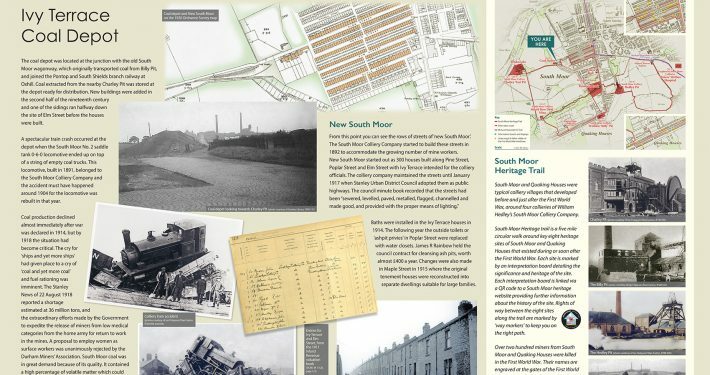 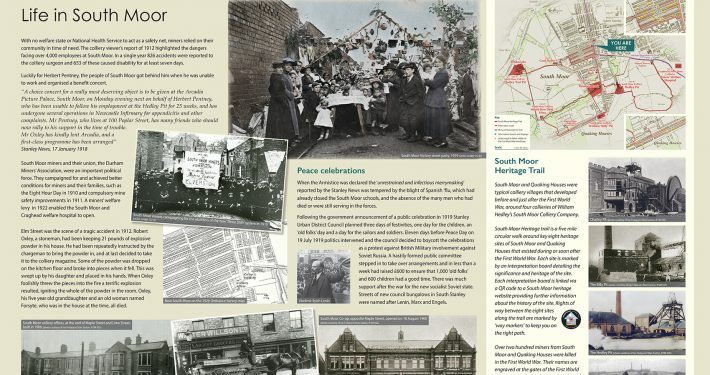 © Copyright 2017 - South Moor Heritage Trail | Website design and hosting by Total Results Ltd.